Doors and Windows are essential components of any structure but they also represent vulnerable points in the building’s external envelope. Creating an opening in the outer skin of a building requires careful engineering to make sure that structural and thermal stability is maintained, which is where lintels come into play. Lintels are flexural members and parts of the structural system and basically horizontal members. As such it is also a beam and is required to rest the wall above the openings/doors/window in a wall. What is a Framed Tube System? These are the oldest type of lintels and used even these days. Wooden lintels are commonly used in hilly areas where timber is cheaply available in abundance. In plains, the wooden lintels are rarely used on account of their high cost, susceptibility to catching fire and ability to decay by rot or termites. Wooden lintels may either consist of a single piece of timber usually for small spans or may be of built-up sections of two or more pieces held together by bolts at suitable intervals as shown in the above figure. These built-up lintels are generally used for larger spans. The wooden lintels are placed, with the proper bearing at the ends, to span across the openings and then masonry is constructed over it. Wooden lintels are comparatively weak and, therefore, relieving or discharging arches of brick or stone are provided over them. The space between the lintel and the arch is filled with a brick core or stone core. What are the Building Structural Systems? What is a Frame with Shear Wall Structural System? 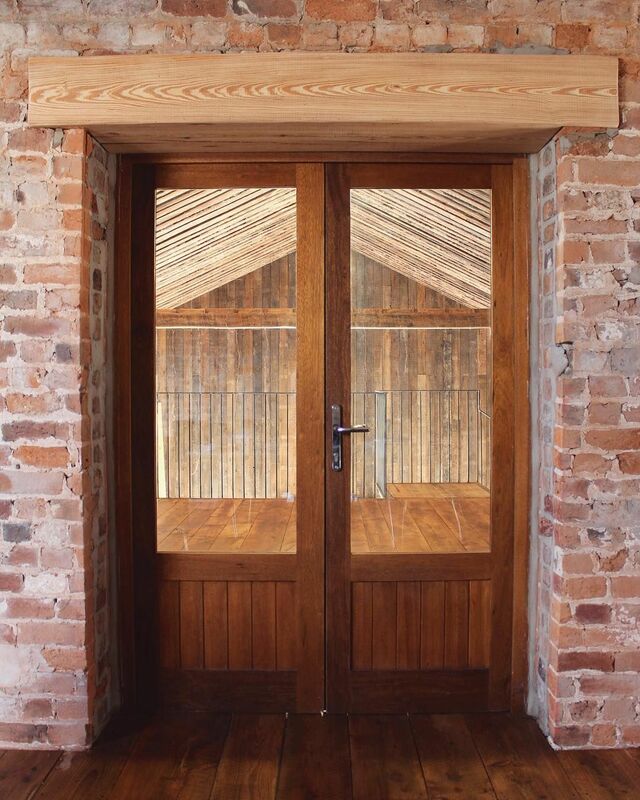 Wooden lintels should be made of sound and hard timber, like teak, rosewood, sal etc. otherwise they are likely to be destroyed by fire and decay, and will bend under load. The amount of bearing of lintel ends should be adequate (usually 15 to 20 cm) and the lintel should rest on mortar to have firm and uniform support. The depth of lintel should be 1/12th of the span, or 15 cm, whichever is greater. The width of the lintel is kept equal to the thickness of the opening. The use of this type of lintel is recommended only in places where the stone is available in abundance and the structure is made of stone masonry. The stone lintels may also be used in buildings which consist of stone facing. Stone lintels are made of slabs of stones of sufficient length without flaws either in single piece or combination of more pieces. The thickness of the stone lintel should be 80 cm, or 4 cm for every 30 cm of the span, whichever is more. Stone, being poor in tensile strength, cannot withstand the transverse stresses. Hence stone lintels should never be used for opening exceeding 1-meter span unless provided with relieving arches above, otherwise, they would require abnormally deep lintel. It is difficult to obtain the slabs of stones of sufficient length and depth, free from defects or flaws. Moreover, the stone lintels prove to be costly as they require a good deal for quarrying, transportation to a work site, dressing, and also for handling on site due to its weight. These types of lintels are used to span small openings (less than one meter) with light loading. Brick lintels generally consist of bricks which are normally laid on end and occasionally on edge. The brick lintel is constructed over temporary wood support (i.e. acting as centring) known as turning piece. Bricks with frogs are more suitable for construction of lintels as they form juggles when bounded and hence possess more shear resistance at the end joints (i.e., greater lintel strength). The lintel formed by using frog bricks is termed as ‘joggled brick lintel’. Also Read: What is a Load Bearing Structural System? Bricks should be hard, well-burnt, free from defects such as lumps, cracks, flaws etc. and with sharp and square edges. The depth of the brick lintels, which varies with the size of opening and appearance of brickwork, should be multiple of brick courses, viz., usually 10 cm, 20 cm, etc. For bonding frog bricks, the cement mortar with mix proportion 1:3 should be used. Door frames and window frames should be fixed with a setback of 2.5 cm from the external face of the wall. When brick lintels are required to be used over large spans, they are reinforced with steel bars. These lintels are constructed on the same principles as RCC lintels, the only difference being good quality bricks are used instead of concrete. The bricks are so arranged in parallel rows (either on edge or flat) that a 2 cm to 4 cm wide space is left lengthwise for inserting the reinforcement i.e., steel bars or rods. These spaces with reinforcement are then filled or embedded with rich cement mortar or cement concrete. But they are not recommended in an area with high intensities of rain or which are humid, as the bars will corrode over a period of time, which will invite the failure of the lintel. Nowadays, the most commonly used types of lintels are concrete lintels. These are made of cement concrete. They are of two types. These types of lintels are prepared with plain concrete beams as steel bars are not used into them. Hence, they are not useful for heavy loads. They are made for only a span of up to one meter. Concrete is strong in compression weak in tension, that’s the only reason they are not used in a longer span. Also Read: What is a Structural Design and Why it is Required? In modern times, reinforced concrete lintels are extensively used and practically RCC has replaced all other materials used for united construction due to the following reasons or advantages. RCC lintels are fire-proof, durable, strong, economical and easy in construction. The relieving arches are eliminated if RCC lintels are used. These lintels can be used for varying spans as well as loading conditions. The speed of construction is increased if precast RCC lintels are used. RCC lintels are constructed usually with a concrete mix having proportions 1:2:4 (i.e., 1 cement: 2 sand: 4 broken stone aggregate, by volume), reinforced with mild steel bars. The plain concrete is unsuitable for lintels as it is comparatively weak in tension, and hence lintels are commonly strengthened by using mild steel bars or some other form of reinforcement. The amount of reinforcement depends upon factors, viz., the width of the opening, a span of the lintel and the total load to be carried by the lintel. Nowadays most lintels are provided with weather shades i.e. ‘chhajja’. When you do this, you need to exercise a lot of precautions. Read here to understand such precautions. What is a Precast Concrete? For ordinary loads, adopt 15 cm depth for spans up to 1.2 m, and add another 2.5 cm for every additional 40 cm spans. 6 mm Φ for spans up to 1 meter. 8 mm Φ for spans 1 to 1.5 meters. 10 mm Φ for spans 1.5 to 2 meters. 12 mm Φ for spans 2.0 to 3.0 meters. How to Prepare Reinforcement Steel Before Repairing of the Concrete? In the case of cavity walls, an RCC boot lintel (L shaped lintel) over the openings may be provided, the details of which are shown above in fig. This type of lintel is better in appearance as well as economical. But it should always be ensured that the toe of the boot lintel is strong enough to bear the loads above. A flexible damp-proofing course (D.P.C) should also be provided. Importance of Waterproofing for your House! These lintels consisting of rolled steel joists embedded in concrete are used over large openings, particularly when they have to support a heavy load of solid walls in the position such as shop-fronts, bay windows, etc. These are sometimes called bressummers. Sometimes, lintels consisting of steel angles or channel sections in concrete, are used for small spans and light loading, particularly when there is no space above to accommodate an arch or for making a relieving arch. These lintels being very costly, are restricted in use for special cases. These lintels usually consist of built-up sections of three rolled steel joists or channel sections which are held together at proper distances by tube separators or cross-bolts. These steel built-up sections are embedded in concrete to protect them from the effects of corrosion and fire. At the bottom of the steel section, a strip of metal lathing or wire netting is placed before concreting to increase the bond or grip between them and the concrete. This whole system is cured like an RCC Lintel. These types of lintels are the most common and amongst the most frequently used. The average size range would be around 98mm consisting of block or brick. These lintels are the leaders in the construction world for load bearing. They are specially designed to carry the heavy masonry loads. They are known for its strength and stability. Contrary to the belief they are easy to install and has an attractive galvanized finish to top it all off. Another good feature is its durability in the face of thermal changes. Thermal efficiency is required for a lintel to bear heavy loads which are exposed to variation in temperature. These types of stones come with the special additional feature of having an inner leaf which can support that additional block work you want to support. These types of lintels are known for supporting block work up to a length of around 160mm and are quite popular in the masonry field. These types of lintels are available in different lengths with various increments in different size ranges. This type of lintel comes with an outer leaf. The advantage they possess is that they support stone on the outer leaf. Stone is wider than brickwork. Combined lintels can support the extra width which is achieved by using stone. This type of lintel is very easily installed and can also be detached when not required. This outer leaf is usually specially designed when the outer stone is used. They have an outer leaf with a range of around 75mm and are specially designed to support stonework and not brickwork, unlike its other lintel counterparts. Reconstructed stonework at construction sites are usually supported by this type of lintel and it does so very effectively. A maximum overall length starts with the size range of 600mm and some cases upwards giving that much needed extra length. The galvanized finish further enhances how robust the product can be in the end. These types of lintels are popularly known to support concrete floor loads and point loads making it extremely valuable in the masonry field. Most applications will not need anything other than a concrete lintel or standard steel. 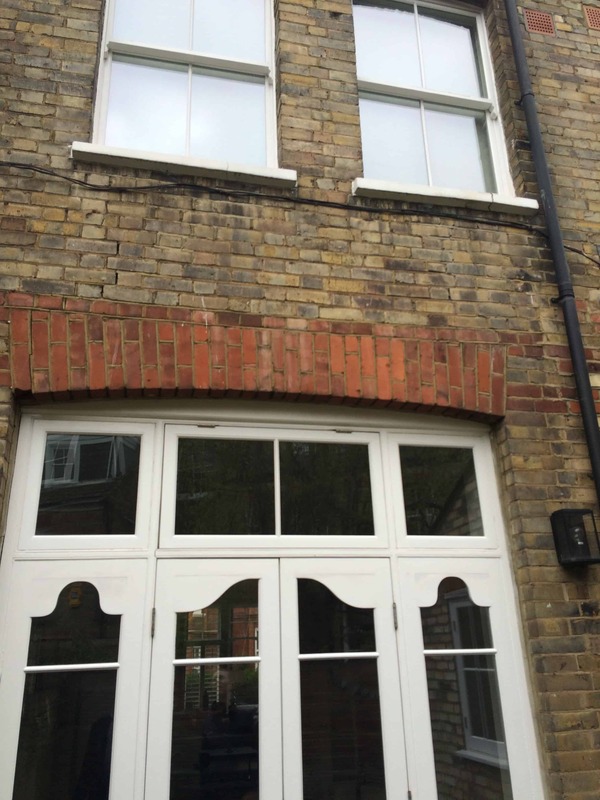 However, there are various types of an opening which might require a specialist lintel. Such lintels are available in the market known as catnic lintel named given from manufacture company’s name. These types of lintels include corrosion-proof coatings and even thermal insulation so that less heat is lost through these unavoidable breaks in the wall structure. Catnic lintels provide for a wide variety of uses including under-eave lintels, cavity wall lintels, Corner lintels, timber frame lintels and heavy-duty or extreme load lintels. Why Steel is Used in RC (Reinforced Concrete)? 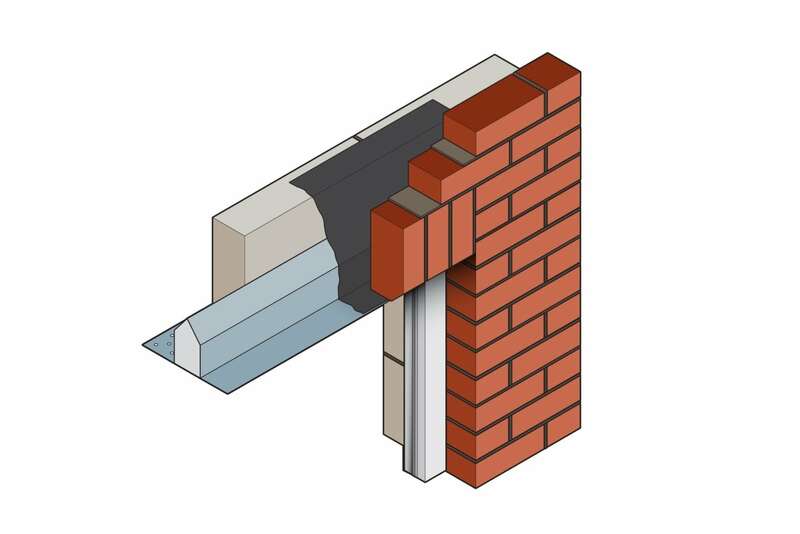 Cavity lintels are designed, as the name indicates, to fit into the cavity of an external wall and can be used to span both door or window openings. The wedge shape helps to carry any water in the cavity to the outside rather than letting it penetrate the inside. Among all lintels, reinforced concrete lintels are most widely used these days to span the openings, because the other materials have become outdated due to many drawbacks i.e. wooden lintels are liable to decay, stone lintels are costly and difficult to obtain the stone slabs of the required length without flaws, while steel sections are wasteful and become loose when exposed to the sun due to their high rate of expansion. Remember lintels are a must. If you do not provide lintel, you will see the upward diagonal cracks in walls, which will be difficult to repair later. What is Substructure in a Structural System? Understand What is Superstructure of Your House!